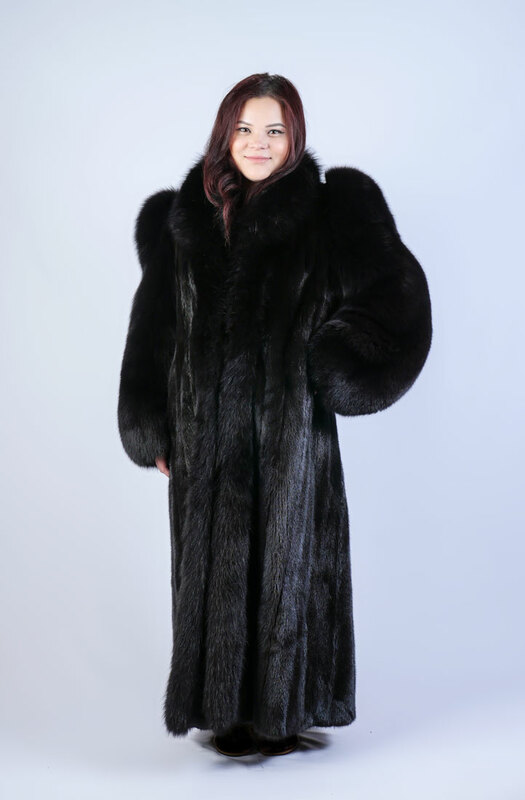 FULL LENGTH BLACK MINK COAT WITH BLACK FOX SLEEVES & TRIM: This is a stunning genuine dyed black mink fur coat with dyed black fox fur trim, in a nice, long length. 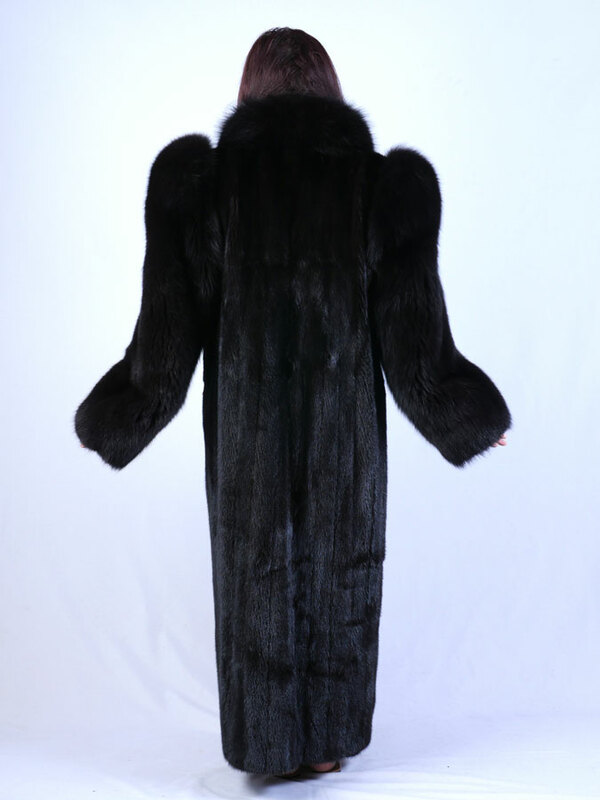 It features a black fox tuxedo collar and lightly padded shoulders. 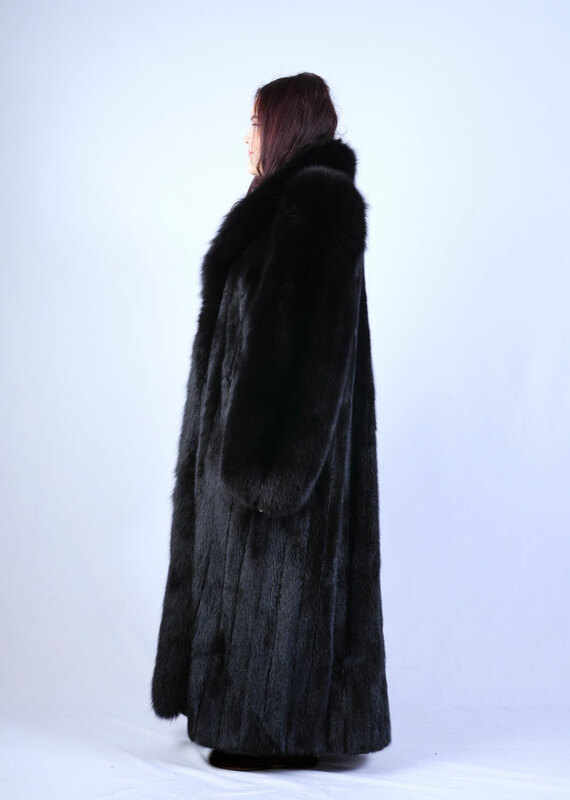 There are two exterior pockets as well as one pocket hidden in the lining. 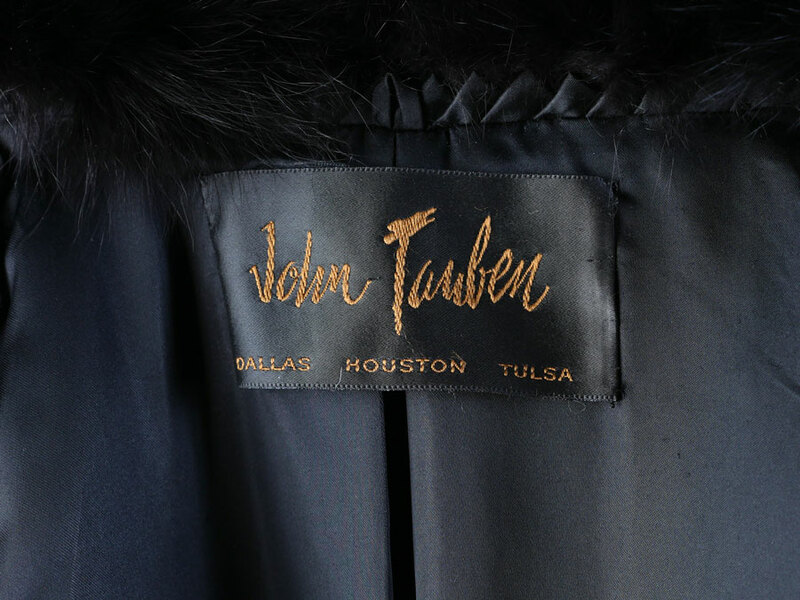 The lining is solid black and there is an embroidered name monogram. The closures are hooks and eyes. Approx size 10-12.